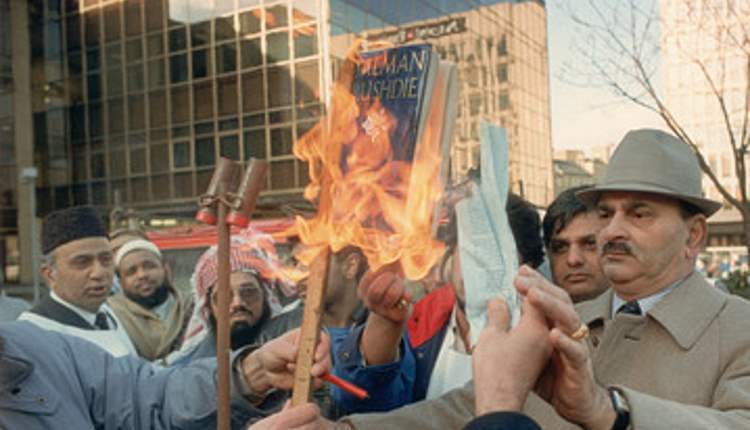 The recent decision of the British government to confer knighthood on Salman Rushdie, the controversial writer of the book “Satanic Verses”, has raised a new wave of protests amongst Muslims. Most protesters are asking for his head and claiming that such is the punishment for all people who are guilty of blaspheming against the prophet of Islam, God’s mercy be on him. Since I believe that the demand is un-Islamic, I am giving my arguments to prove my point of view. The demand for Salman Rushdie’s head is based on two arguments: After having written his book, he has become guilty of apostasy (irtidad) the punishment for which in Islam, according to the argument, is death. Therefore Salman Rushdie must die. The other argument is that since the punishment of any person, whether Muslim or non-Muslim, who blasphemes against the prophet of Islam is death and Salman Rushdie has clearly done so, he must get killed. Are these two claims correct? There are some other issues that are associated with the above two: Even if it was granted for the sake of discussion that Salman Rushdie deserved death according to the Islamic law, can Muslims be incited to kill him even when he was living under the protection of the law of another country? And if Britain was not operating under the Islamic law, could Muslims still go after his life in the British territory according to that law, which Britain is not governed by? Could he be punished without him going through a proper trial in which he was allowed to defend himself? Before I touch upon this subject and give my understanding on the two arguments mentioned above, I would like to emphasize two important issues Muslims must not ignore in this debate. What Rushdie has written is indeed condemnable. However, he is not the only one belonging to that category. There are many other authors who were guilty of the same offence, some of who have committed it at even more serious levels. In fact, Rushdie has not even come anywhere close to what some of the other modern writers have written against Islam and the prophet of Islam. Should all of them — all thousands (if not hundreds and thousands) of them — be declared equally guilty of a crime punishable by immediate, extra-judicial death no matter wherever they were living? If that was the correct Islamic position regarding such people, we Muslims then must arrange for millions of people to operate all over the globe in the form of death squads to take care of the requirements of the ‘Islamic law’ that stipulates immediate killing for all blasphemers. Moreover, Rushdie has mentioned hardly anything in his infamous book on his own: He borrowed most of his material from the Muslim sources of the earlier times. If “Satanic Verses” was condemnable, which indeed it is, so were all other Muslim sources that enabled the author of it to borrow material from for his book. If we were fair-minded humans, we must first demand that all such malicious material should be expunged from the books that caused to be the sources of Rushdie’s information. To demand Rushdie’s head for a crime for which some earlier Muslims were even more responsible and to absolve those earlier ones from any charges would tantamount to practicing double standards. It is therefore extremely important that we consider the arguments presented in support of capital punishment for Rushdie very carefully and decide objectively whether he deserved to be killed or not. It is not just that the life of an individual is at stake: The very reputation of our faith and the sincerity of our attachment to it are also under strict scrutiny. Let’s look at the first of the two arguments: Salman Rushdie is a murtad (apostate) and the punishment for a murtad is death in Islam. Are the two claims correct? As for the first one, the fact of the matter is that a person becomes a Muslim by choice only after he had freely agreed to adopt Islam as his faith. This could only be true for people who converted to Islam or those who after having been Muslim by birth decided that they were Muslim by choice as well. As for those who were ‘born Muslims’, they do not always turn out to be freely converted Muslims. Therefore, if someone became a non-Muslim after he was born a Muslim, he was not a murtad in the true sense of the word. It was just that he found by accident of birth that he was a Muslim and later decided that he didn’t want to be one anymore. The other question was: Is the punishment for a murtad death? My clear answer is that it isn’t. One might ask as to why then were a vast majority of Muslims confidently advocating the law that whoever was guilty of the crime of apostasy in Islam must face capital punishment? My answer to this question is that Islam is derived from the Quran and Sunnah (the religious practice of the prophet), the two original sources of understanding of it, and not from what Muslims say. Even if a vast majority of Muslims were saying one thing and it was clearly shown by a single individual that the Quran and Sunnah were saying something different on the same issue, the verdict of that single individual would be held as truly Islamic: Islam resides not in the majority view of Muslims; it resides in the message of Quran and Sunnah. The basis on which it is normally held that a murtad deserved capital punishment was a hadith (a statement attributed to the prophet) that said that “Kill those amongst them who turn their backs on Islam.” It is significant to learn that even though the Quran mentioned the possibility of apostasy on several occasions, it never suggested death as a punishment for the one who committed it. See, for instance, Quran: 5:54. The hadith was indeed correct, but, like most others, it needed a proper context to clarify its true meanings. The most authentic source of suggesting context to hadith was the Quran. There were two significant concepts of the Quran that cannot be ignored while contextualizing the relevant hadith: The Quran is unambiguously clear that there could be only two valid reasons for even an Islamic state to get sanction to kill a person: It could kill someone whose crime of murder was established as also the one who was found guilty of causing mischief on earth. (Quran; 5:32) While the punishment for a murderer was simple death, the punishment for one committing any one of the crimes falling in the latter category was, in many cases, even more severe. (Quran; 5:33) The Quran declared that if a person was killed for reasons other than those two then the one who was guilty of killing that person had, as if, killed the entire mankind. (Quran; 5:32) Salman Rushdie has neither killed anyone nor was he guilty of creating mischief on earth. Blaspheming against the prophet, alaihissalaam, did not amount to creating mischief on earth because the latter crime has been described by the Almighty Himself in these words: “Those who fight against Allah and His messenger and create mischief on earth.” (Quran; 5:33) These wordings could be applicable in the case of a crime in which the perpetrators of it were causing the life, property, or honour of the common people to be at the stake of their nefarious designs. Salman Rushdie was guilty of a crime which cannot be categorized as fasaad fi l’ard: causing mischief on earth. 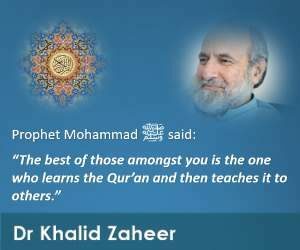 The other important understanding of the Quran that contextualizes the hadith was the one that clarified that the only people who were liable to be killed other than for committing the two above-mentioned crimes were the ones who were killed by the Almighty Himself through His messengers and his companions. Of course, it is a crime that a mortal human kills another; however, for the Almighty to kill his creation is His prerogative which he carries out as a matter of daily routine. This killing of humans by God Almighty takes place through diseases (normally described as “natural deaths”), accidents, or natural hazards. According to the Quran, the phenomenon of killing of humans through natural calamities took place for a special reason on several occasions in the history of mankind to carry out a definite policy of the Almighty: When a group of people rejected His message sent through a messenger despite knowing full well that it was from God, such deniers were eventually killed. It was a recurring theme in the Quran that the nations of the messengers of God like Nuh, Hud, Saleh, Shu’aib, Lut, and Musa, alaihimussalaam, were all destroyed by Him because they committed the crime of rejecting the message brought by their respective messengers and turned their enemies. God mentioned His firm commitment that He has decided that He and His messengers would always prevail over the enemies. (See Quran; 58:21). Inevitably, such was to be the case with the nation that rejected the last of the prophets as well. The only difference was that since in the case of the last messenger many people turned believers in his message, the divine punishment which hitherto used to be inflicted normally through natural calamities was implemented through the swords of companions of the prophet. It was because of this reason that many rejecters of the message of Muhammad, alaihissalaam, were killed during his lifetime. In other words, those who received a messenger’s message directly had no choice but to believe in it or else they were to get punished in this very life, if they didn’t deserve any relaxation, through death. Quite naturally, if a person had to face death in the first place, if he refused to believe in a message, he had to again face death if after believing he again disbelieved. However, such punishment had nothing to do with the apostates who never received the message from the messenger of God directly. Thus even if Salman Rushdie was an apostate, he didn’t deserve to die according to the Islamic law. Let’s now take up the blasphemy argument: Was blasphemy a public offence in the Islamic law punishable by death? The answer again is clearly in the negative. There were at least three cases of blasphemy against the prophet and the message of Islam mentioned in the Quran. In none of them there was a suggestion that those who were guilty of the offence ought to be killed. If there was to be a punishment for blasphemy, clearly it was the Quran where it should have been mentioned, especially when the book mentioned the occurrence of that offence during the prophet’s lifetime. The passages in which cases of blasphemy have been mentioned are found in the in the Quran in the following verses: 2:104; 5:57-58; 63:7-8. In the first passage, the Quran informs us that there were some Jews-inspired hypocrites who used to come to the prophet’s gatherings with the motive to tease him in a way that their cheap, sinful desires could be satisfied on the one hand and yet their offence should go unnoticed on the other. For that purpose they used to address the prophet by saying ra’ina (please say it again) in a way that they would twist their tongue to prolong the letter ‘i’ so as to give a sound of a word that would mean “our shepherd”. Instead of condemning the perpetrators of this crime to any punishment, however, the Quran said this to believers: “Believers, don’t say ra’ina, instead say unzurna and listen carefully (so that you don’t need to ask the prophet to repeat his statements)”. (Quran; 2:104) The word unzurna, like ra’ina, served the same purpose. The second passage that mentions an insulting attitude of the disbelievers is this: “Believers, don’t make such individuals from amongst the people of the book and the disbelievers (of Makkah) your friends who tease and make fun of your religion. And fear Allah if you are true believers. When you are called for prayers, they make it (that call) an object of ridicule. This they do because they are a group of people who don’t know (the truth).” (Quran; 57-58). Had the intent of the divine law been to kill those who made fun of religion, this was the best occasion to make it unambiguously clear. However, instead, believers were only asked to not make such foolish people their friends. The third passage relevant to the topic appears in the sixty-third chapter of Quran titled “Hypocrites”. The chapter talks about the nefarious designs of the leader of the hypocrites and his followers, who, in one of the expeditions of Muslims to outside Madinah, insulted the prophet and his companions in the following words: “They say when we shall return to Madinah the honorable shall expel from there the mean, even though honour is for Allah and His messenger, and believers, but these hypocrites are unaware.” (63:7-8) Indeed what Abdullah Ibn Ubay, the leader of the hypocrites, and his followers said was clear blasphemy. However, the tolerant message of God didn’t demand their head. Instead, the Almighty only clarified what the truth was in response to the blasphemy the hypocrites had uttered. Abdullah Ibn Ubay later died a natural death in Madinah. Despite the fact that he wasn’t living in a foreign land but in the very city of which the prophet was the ruler, he didn’t face death in retribution for the clear act of blasphemy he and his companions were guilty of committing. The question that should naturally arise is that if the Quran was so clearly not requiring any punishment for blasphemy, why are Muslims demanding that those guilty of this offence should face death? The answer to this question is that there were indeed some disbelievers who were killed for being guilty of blaspheming against the prophet during his lifetime. 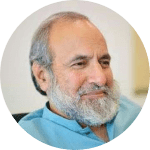 Those who are demanding the head of Salman Rushdie and other blasphemers believe in the light of those incidents that such was the punishment for all blasphemers. The fact of the matter is that, as we have clarified above, there is no punishment for blasphemy in Islam, yet those people who received the message of the messengers directly, as clarified above, were destined to be killed, one way or the other, after a certain God-ordained deadline was reached. That deadline had already reached for the disbelievers of Makkah, thirteen years after the prophetic mission had started, at the time when the prophet and his companions were forced to migrate from the city to Madinah. However, God delayed the time for inflicting the punishment in accordance with the considerations of His wisdom and mercy. The first phase of that punishment took care of the entire leadership of Quraish, the clan that ruled Makkah, two years after the migration in the Battle of Badr. That process continued for different people at different occasions. When the people of the book, the Jews and the Christians, criminally denied the prophet’s message, they too became eligible for the divine punishment. However, in their case the punishment was relaxed to not necessitate death for them. Instead they were forced to live the life of second-rate citizens in the Muslim society on paying Jizya, the non-Muslim tax. (Quran; 9:29) However, because those Jews and Christians who had denied the prophet’s message were guilty of an unpardonable crime, the more blatant criminals amongst them, those who didn’t just deny the messenger of God’s message but went on to insult, tease, and threaten his life, they were considered worthy of being killed like their counterpart polytheist disbelievers of Makkah. Let’s take up another issue: If Salman Rushdie was found guilty of blasphemy in a Muslim country, could he be killed without him getting the benefit of going through a trial? The fact is that killing him without a trial would be un-Islamic. One might ask as to why then some people were killed during the prophet’s lifetime without them getting the privilege of going through a legal trial. The answer to this question is that Ka’b Bin Ashraf and others who were killed during the time of the prophet were not killed by the common Islamic law; as clarified above, they were killed by God through his own law. Instead of using natural calamities, as was done to annihilate the nations guilty of rejecting messages of the earlier messengers, He used ‘His swords’ in the case of the nation that received the last messenger. The very fact that Ka’b and others didn’t go through a trial before they were punished, as was the normal rule of Islamic law, was in itself a proof that he didn’t receive punishment under the common Islamic law. If we assume that the punishment for blasphemy was death in Islam, and if Salman Rushdie was living in a non-Muslim country, as he is now, could he still be killed if Muslims found him guilty of insulting their prophet? The fact of the matter is that such a demand was both dangerous and anti-Islamic. It was dangerous because if accepted it would endorse the principle that anyone could kill another person if he felt that the other person was guilty of insulting his religious sentiments. It is anti-Islamic because by so demanding the head of Rushdie, Muslims are creating an impression in the minds of people that Islam was a barbaric religion. The Muslim demand for Rushdie’s head by hook or by crook is a far cry from the approach of the prophet of peace (Islam) who was known to have visited the home of an old lady to enquire after her health when he didn’t see her doing her daily routine of laying thorny bushes on his way; the noble prophet got worried for her and visited her home. The Muslim demand has turned the impression of the message of Islam in the very opposite direction of what the prophet of Islam had brought. The Quran says: “Listen, good behaviour can’t be the same as the bad one. So repel (bad behaviour) with an attitude that is good, and what you will find is that, as a result, the one with whom you had enmity has become your bosom friend. And this (behaviour) can’t emerge from anyone except those who are patient; and this (behaviour) can’t emerge from anyone except those who are most fortunate. And if Satan whispers into your heart (something to dissuade from it) then seek refuge in God; indeed He is All-Hearing, All-Knowing.” (Quran; 41:34-36).